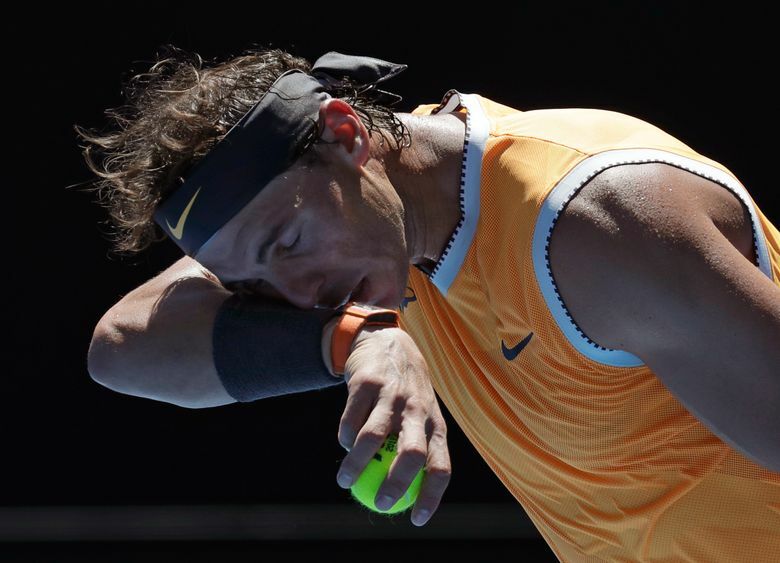 MELBOURNE, Australia (AP) — Rafael Nadal has missed a lot of tennis since last September. He hasn’t missed a beat. The 17-time major winner hasn’t played since retiring from his semifinal at the U.S. Open because of a knee injury. He had surgery on his right ankle in November, and withdrew from a tune-up tournament in Brisbane earlier this month because of a muscle strain in his thigh, mainly as a precaution, to ensure he’d be fit for the season-opening major. He really was coming in cold. His only hiccup came when he served for the match in the ninth game of the third set and was broken. He returned the favor quickly, though, to seal his spot in the second round. He was quick with a serve at his media conference, too, poking fun at a journalist who appeared to be dozing . 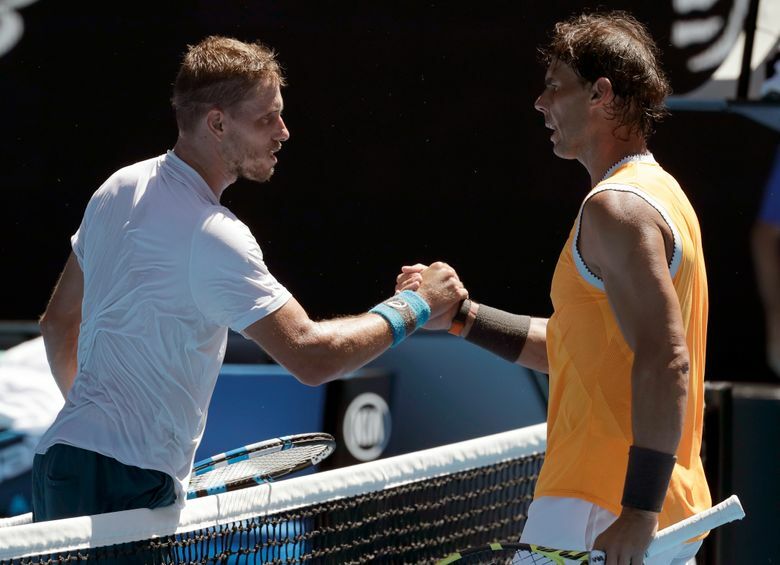 On a day when an injured Andy Murray likely played his last match at the Australian Open in a stirring five-setter — his first first-round loss at a Grand Slam tournament in 11 years — Nadal was circumspect about his progress. Murray has announced plans to retire this year because of the constant pain in his right hip. 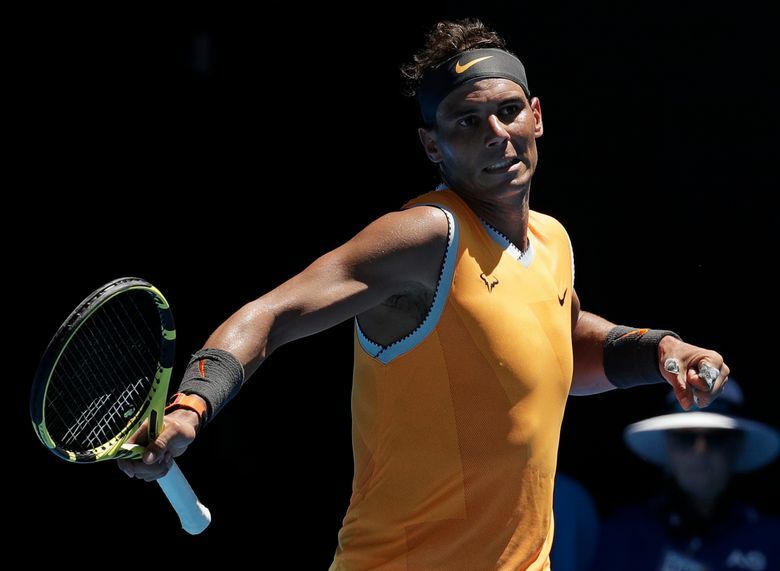 Injuries have forced Nadal to take extended breaks throughout his career and his high-energy style means he’s being more selective about when and where he plays. “My plan is wake up and see how I feel,” the 32-year-old Nadal said. “I am working about the personal feelings of every day — adapt our practice every day. He’ll play another Australian, Matthew Ebden, next. Nadal spoke late last year about the devastation caused by the deadly flooding on the Spanish island of Mallorca. A torrential rainstorm on Oct. 9 caused flash flooding that left a trail of destruction and killed 13 people. Nadal, who is from Mallorca, knew some of the victims and said he’s had to be philosophical about the tragedy. “I know the real life, how tough can be,” he said. “The world is suffering. Not only with this, with wars, with terrible things that’s going on. “There are families that lost almost everything. But I’m happy that all the island was together helping each other, and at some point, we receive huge support.